Earlier this week, Tron: Legacy director Joseph Kosinski tried to drum up some interest in the franchise’s long-stalled third installment by revealing a few plot details from the hiatus-prone film. 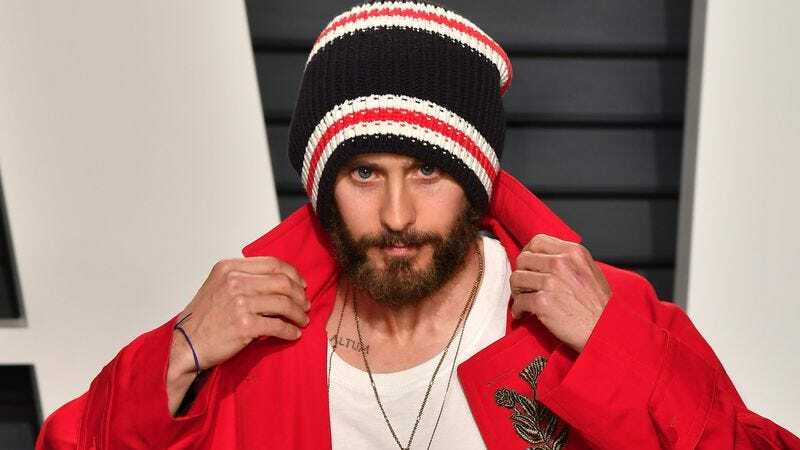 Now, per The Hollywood Reporter, Kosinski may have actually succeeded in his goal of getting Disney talking about the series again—albeit not necessarily in the way he wanted—with the news that the company is apparently in talks with Jared Leto to star in a third Tron film. The film wouldn’t be a direct sequel to Legacy, instead salvaging pieces of the old Tron 3 script to build something new. (No word on whether Garrett Hedlund or Olivia Wilde would reprise their roles, or whether Kosinski would be back to direct.) Leto—who’d produce, if the film comes to fruition—would star as Ares, a character who featured prominently in the old Tron: Ascension script.